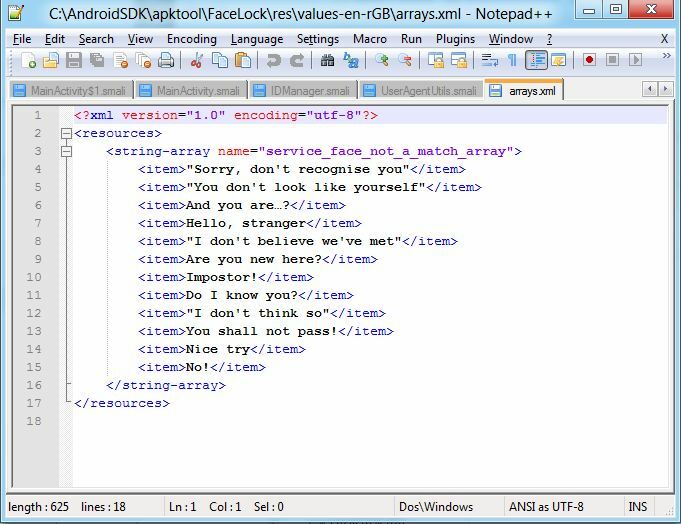 Someone in the Android community was bored over the last few days and decided to open up one of the .xml files for the Face Unlock feature in Ice Cream Sandwich. They noticed a list of items that for some reason, made them jump to the conclusion that these are a part of Google’s rumored voice recognition/artificial intelligence service codenamed “Majel.” As you can see from the list, they appear to be somewhat witty responses to actions. The only thing is, these are clearly alternate responses that appear on the screen when the Face Unlock doesn’t recognize you. The first response listed is “Sorry, don’t recognize you.” If anyone has used Face Unlock at all, you will know that this is the canned response that appears every time. The others, are options that can probably be enabled, but for whatever reason, have not been. It’s not Majel. These aren’t voice-related or intelligent responses. They are pre-set lines that are displayed on the screen when the unlock feature does not recognize you. That’s it.